If your man stops wearing those dirty old sneakers he always wears and comes home with a couple of pairs of brand new shoes, he’s trying to impress a woman. Unless he’s suddenly paying attention to fashion, he probably knows women look at a man’s shoes and wants to make a good impression on someone. Unfortunately, it’s probably not you! So what are you supposed to do if you spot any of these signs? Sit down and talk to him. 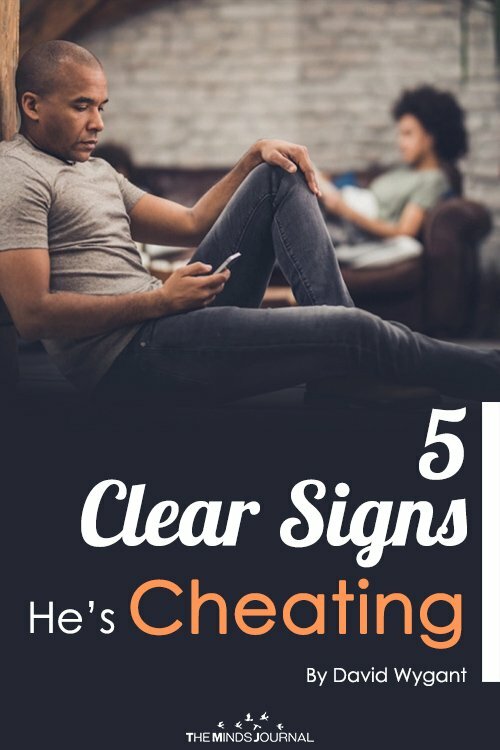 Just because he’s showing signs of infidelity you need to give him the benefit of the doubt. Tell him you’re worried about his behavior and tell him what he’s done to worry you. 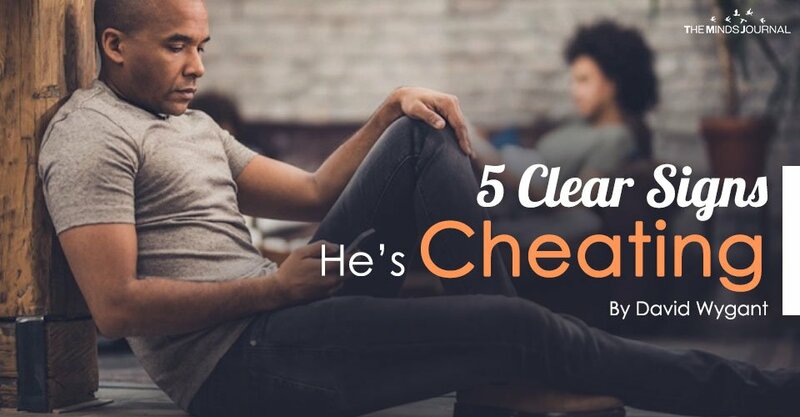 Don’t get all crazy on him and start throwing a tantrum because it might turn out he isn’t cheating on you. Yes, some men are cold, narcissistic, and don’t have any problem cheating. They won’t show any emotion, and they’ll happily lie to your face without caring. MOST guys though will feel some degree of guilt about what they’re doing. Think about a little boy that broke one of his Mom’s favorite ornaments and then spends the next month terrified she’ll find out. He knows he’s doing wrong, and he’s worried you’re going to find out. But why is he having an affair? Why does he care if you find out? If he wants another woman, what does it matter to him? Guys cheat for a ton of reasons. Maybe he has low self-esteem, maybe a woman hurt him in the past, maybe he isn’t certain if he wants to settle down, or of course, he could just be an ignorant, selfish man-boy who isn’t ready for an adult relationship. The good thing is, you more likely to know if you’re with a cheater IF you have a better understanding of men. To be honest, once you learn how to spot certain traits and characteristics in guys, you’ll know how to avoid players altogether. If you haven’t seen my women’s dating product “What Men Desire” you should give it a look. It will answer every question you’ve ever had about men, and what makes us commit. 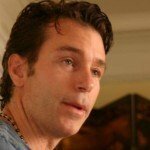 You’ll discover everything from why men go cold, through to what men want in a long-term partner. Isn’t it about time men didn’t confuse you anymore?